My new addition to my list of cookies is my healthy oatmeal raisin cookies. 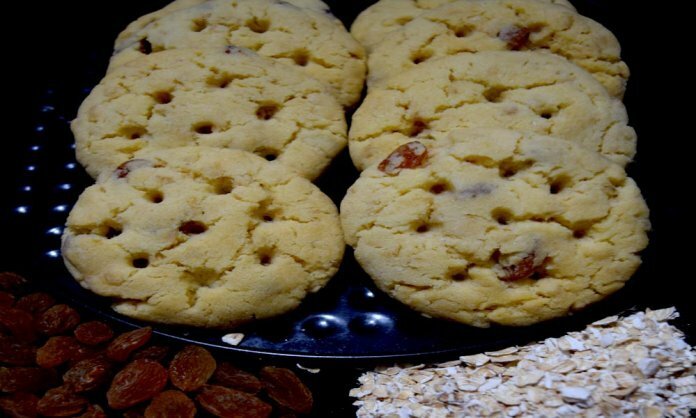 This easy oatmeal cookie recipe is made with using Gulab Jamun mix. The gulab jamun mix adds a unique flavor to this old-fashioned oatmeal cookies. PS: If you do not have gulab jamun mix, you can use all-purpose flour as well. Unexpected termination of our guests terminated my plans of making gulab jamuns for them. I was left with the gulab jamun mix and little I know what to do further with it. What I could have done was to keep the pack in the drawer and forget about it. Instead, I picked up the leftovers of oatmeal in a pack and added it with gulab jamun mix and BINGO. I had the recipe for my new cookies with me, the quaker oatmeal raisin cookies. I collected all the ingredients for the oatmeal cookies and was constantly encouraging myself for positive results. This is the first time I was trying cookies with gulab jamun mix. But the trick worked. Finally, the results surprised me and I had my best oatmeal cookie recipe ready in front of me. 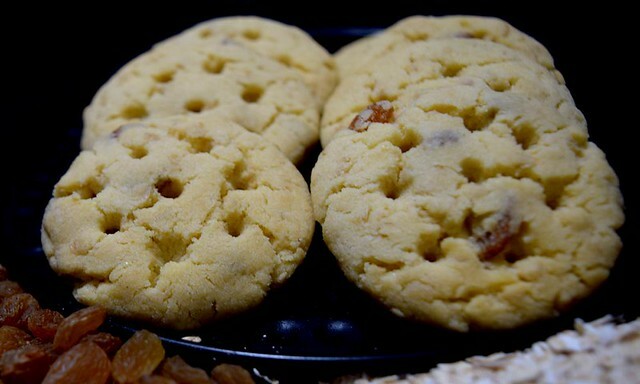 The Gulab Jamun mix enhanced the taste of oatmeal raisin cookies. Try them once and you will be surprised too. In a large mixing bowl, take butter and sugar. 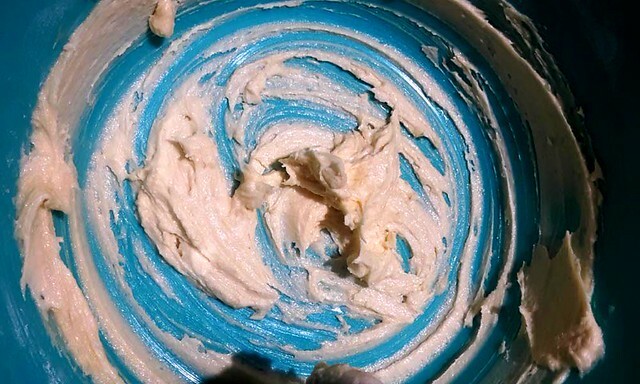 Whisk them until you get a soft creamy mixture. You can use electric whisker for this but I love to whisk it with a hand whisker or a spatula. Add Gulab Jamun mixture, salt, oats and raisins. 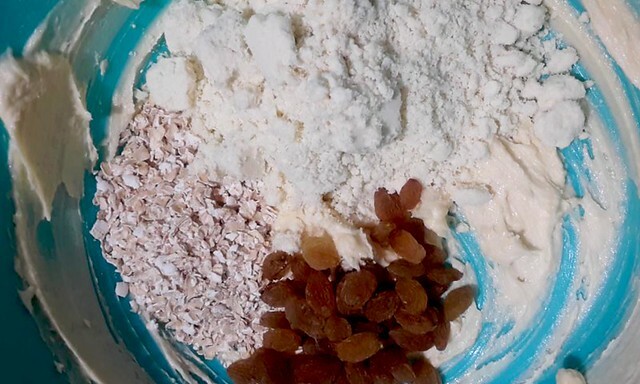 Combine these all the ingredients and make a dough. Divide the dough into 12 equal portions. Roll each portion into a smooth round ball and slightly flatten it. Line a baking tray with parchment paper or simply grease it with butter. Place the shaped cookies on the baking tray leaving some space in-between. Preheat the oven to 160 °C for 10 minutes. Bake the cookies in preheated oven at 160 °C for 15-18 minutes or until edges turn golden. 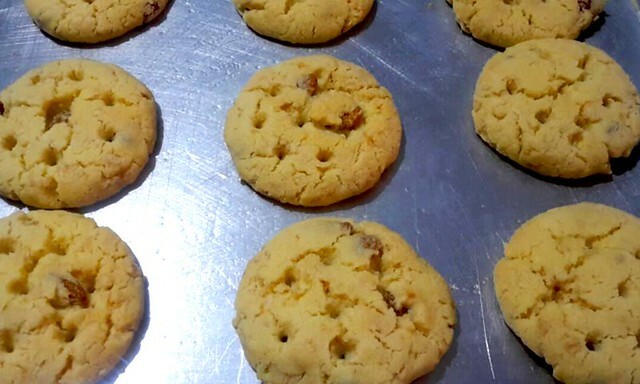 Once done, take out these cookies from oven and place on cooling rack. Allow cooling before serving. Gulab Jamun cookies with oats and raisins are ready. Soft and Chewy Oatmeal Raisin Cookies with Gulab Jamun Mixture. The old-fashioned oatmeal raisin cookies are healthy yet easy to make at home. Check my step-by-step recipe. In a large mixing bowl, take butter and sugar. Whisk these until you get a soft creamy mixture. Combine these all and make a dough. Line a baking tray with parchment paper or simply grease it with butter. Roll each portion into a smooth round ball and slightly flatten it. Place the shaped cookies on baking tray leaving some space in-between. Preheat the oven at 160 °C for 10 minutes. 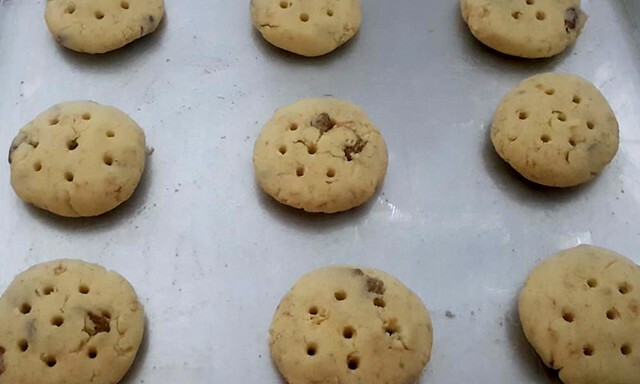 Once done, take out these cookies from oven and place on wired rack. Allow to cool before serving. Gulab Jamun Cookies with oats and raisins are ready. Could please share oatmeal cookies made with wheat flour. Noted, and I will put this in schedule. 1. If I want to add cashews or almonds (lots sitting in the cabinet) Do I need to soak the nuts so these would not burn ? If yes for how long ? 2. I don’t have ( don’t get) chocolate chips where I am at present. Can I use cocoa powder instead ? Answer to 1 question: Grind cashew and almonds in a mixer and make powder of it. Use them in cookies. Do not used the soaked almonds and cashew. Answer to 2 question: Please let me know which recipe you are referring to for chocolate chips and then I should be able to give you more appropriate answer.